Cranes-UK offer bespoke manufactured Lifting Slings that are assembled in the United Kingdom to your exact specifications. 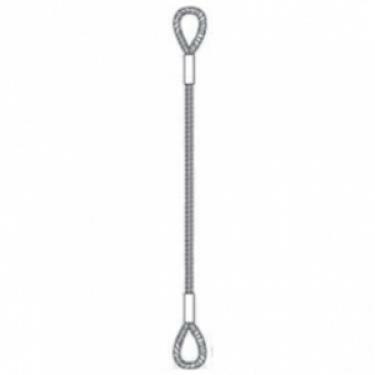 All of our Polyester, Chain and Wire Rope Lifting Slings are produced to the highest standards and complete with certificate of conformity enabling us to meet your companies high health and safety requirements. 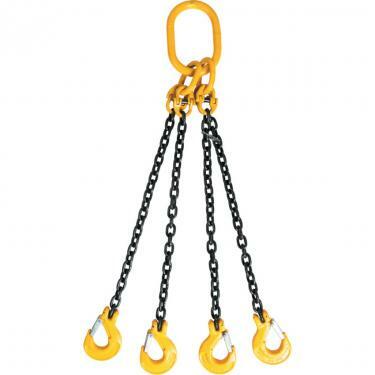 Lifting Slings are the most commonly used item of lifting equipment and can be used in a multiple of ways to increase the capacity of the sling and support the load more effectively. 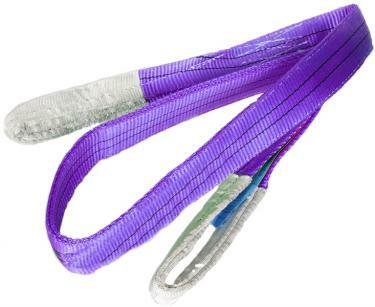 There are several grades of sling including disposable 'one-use' slings, Heavy Duty Slings, Economy Slings and much more. Balancing large loads is easily done with the use of Lifting Slings and Load Rated Straps. Each sling carries a unique serial number to provide traceability throughout the manufacturing process. It is because Cranes-UK supply such a large quantity of Lifting Slings that we are able to offer superbly discounted prices on all assemblies and fast delivery on huge quantities on a global scale. We go that extra mile, need 10,000 slings at short notice? Talk to us, we have all the right connections and our friendly sales team will bend over backwards to assist you.